I've been trying and searching for a while, and before giving up I wanted to give the forum a go. I'm programming a name-letter task in opensesame, using a simple inline script form with widgets. Participants see a letter, and rate this letter on a 5 point scale. The letters are presented in random order taken from a loop ('var.alfabet'), everything fine so far. But now I want to make the letter (e.g. 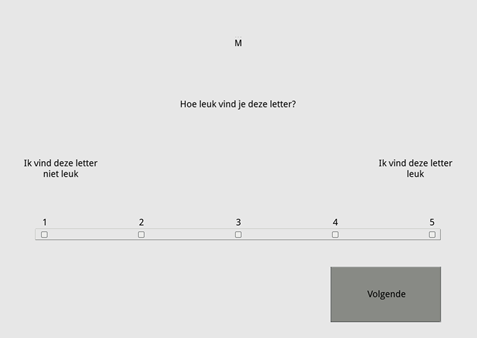 "M") stand out a bit from the other text on the form, preferably by making the font size bigger and bold faced. Is there a way to do this? set description "Executes Python code"
Try to add font_size = 32, color = 'blue' , or font_bold = True. Or by using html in another way than how I used it now. But so far, no success.